Gavin Dunaway who is the Editor of the Interactive Advertising Blog Adotas often writes posts that prompt me to comment. Many of those comments end up turned into posts either here or elsewhere. My original comment appears in his post We’ll Make Good Google Pets and I republish it here for the benefit of my readers. The entire point of the Undercover Boss show IS to influence public opinion. That is what the media has always been used for and if that is still a secret to people it is because they either have never questioned it or they are very naive indeed. Everything – EVERYTHING – on the free television stations, most movies, most major media – is spin intended to influence what the masses believe. This shows how easy it is to influence the masses. One clever television show has apparently caused them to forget that overpaid CEOs now earn 300+ times what their workers earn! When I majored in Journalism in high school back in the ’70s, journalists were taught that they should write as unbiased observers. Here is one journalist’s opinion about What Makes a Journalist different from other writers and bloggers. Personal opinion only belonged on the editorial page. Is that any less true in the great debate of Journalists versus Bloggers? One of the most comprehensive coverage of that topic surrounds Jay Rosen‘s talk at South by Southwest on The Twisted Psychology of Bloggers Versus Journalists. But in the real world that was never really true because all content is influenced by owners and advertisers. Even when advertising was kept separate from what is now passed off as news but IS advertising, we must remember that those businesses is/were/still are advertiser based. How many magazines, newspapers or television stations are going to risk losing that advertising revenue by publishing anything their advertisers dislike? I learned that back when I was involved in the Thoroughbred horse industry. The truth about breeding, buying, and racing horses never appears in any major magazine dedicated to those topics because that industry has spent decades developing a business model that works for the few and their advertising supports those publications. Print the truth and they pull their ad dollars and your mag goes under. Extend this concept to your local newspaper or television station. They COULD warn their readers / viewers about many things from slumlord landlords to contractors known to build shoddy houses – BUT DO THEY? How many stories have you seen about that? 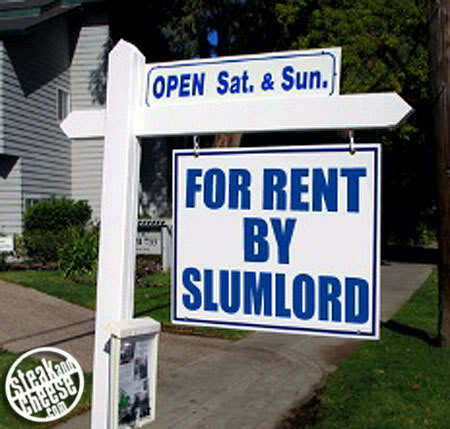 As long as the slumlord is one of their major advertisers or the contractor buys commercial time that is highly unlikely because both newspapers and television are advertiser supported mediums – even at the local level. There’s a business strategy for slumlords and bad businesses: if you don’t want to be outed in the major media be sure you keep buying ads! Is it even really possible to write as a totally unbiased observer? Those who most think it is will be those who believe that everyone else’s view and world are just like their own while nothing could be further from the truth! Then two posts later he dismissed any “story” that did not fit his science based world view which is obviously based on his belief in evolution which I know from what he wrote in the post in between. No doubt he is just as certain that evolution is fact as I am certain as I wrote in evolution versus creationism that Darwin himself proved evolutionists are wrong. Let us examine just that one major difference for a moment. Those who believe science is correct will inevitably reach totally different conclusions about so many things from natural disasters to health to the purpose of life than those who believe God is wiser than man. What your core beliefs are and what your ethical standards are MUST be decided first because they affect everything else you do. To be successful you must decide where to focus your time and how to live your life. There are tough times ahead and you need to know before a big crisis hits whether you will cave in and “do whatever it takes” to survive that today you would never consider doing – or stay true to your ethical principles. I have personally seen businesses that thrive while all around them others are failing and when demand for what they do should have declined due to economic changes. I have seen with my own eyes green pastures where one farmer is baling more than normal amounts of hay during a drought when pastures all around them are brown. There are many true stories, some made into movies such as Faith Like Potatoes and other historical events such as the 6 day war that make no sense – except as supernatural events (what many call miracles because they can not be explained by science and logic). Given the environmental challenges and economic conditions on the horizon, it is my sincere belief that only supernatural protection will suffice. Those who want to know for sure whether they are truly favored should read about the difference between true faith and lukewarm christianity. in romania we say that the press is the third power in state (after the Government and Parliament), but when they cross the line and go into fiction, just think about how many ppl they mislead.. Journalist should stay in the “tell the thrut: boundaries.. I have never think a relation between journalism and blogging. But you have made me to do brainstorming in this sense. I will also originate something in my own way. I think it won’t be all right to say that there is no difference between a blogger and a journalist because we have journalism courses and they get employed based on a journalism certificate. On the other hand anyone can start blogging but only the best bloggers survive, blogging is not as easy as it sounds. Both the professsion is a symbol of freedom of speech which is one of the main tenets of a true democracy. For me Media, Journalism and Blogging all are same, but the difference between them is only due to the ways they are bring shown to the common people. Blogging is for the commercial advertisement purpose but the other two are for current happenings taking all over the world. But, now a days to increase the commercialization the truth is being shown in different types to attract the whole world. Journalism is seemingly related to Blogging. They bought bring useful and resourceful information to the general public. But the difference is journalism usually known as a formal source while blogging can be just a an opinion of a certain author. Journalism as a profession while blogging as a passion. But then again, they have the same goal, to spread the words. I think they should be a mixture of both editorial and truth. For me, media, journalism and blogging are all avenues for freedom of expression. No matter if what they are telling the truth or only their opinions, those things need to be mentioned, to be shared. It’s just sad that sometimes, or maybe most of the time, bribery is involved which affects the exposure of truth. I enjoy life better by eliminating media as much as possible. I enjoy reading blogs but understand most of what we read anywhere is biased. It is amazing how the media can ‘elect’ politicians. All of us have the ability to check voting records of said candidate (where applicable) to make our own determinations. We blindly follow media opinions in this and so much more. I appreciate the field being leveled out. Change has been in order for some time. We are offered the freedom to decide which view of the current Japanese crisis we want to explore, and act accordingly. For many years mainstream journalists looked down on blogging as undisciplined – now most journalists are active bloggers and a few unethical ones utilise blogs without creditation. I think a more apt comparison would be bloggers vs editorial journalists. Ideally, a news journalist looks to report news as objectively as possible — hence the need to seek comments from ‘both sides’ of the story (discounting Fox News-type biased reporting). The editorial columnist is more like a blogger, because readers understand they’re coming from a subjective stance. Blogging adds huge value to the editorial world, because it turns it from a soap box to a discussion. I still have great respect for many editorial journalists and love reading their viewpoints…but the blog commenting community really adds depth. Blogging is less formal than news writing. And micro blogs like twitter are less formal than blogging. Its difficult to read the tea leaves but as you say blogging is not journalism, but it is the seeds for a more open journalism. Thank you for this post! I was searching for the right topic for my upcoming thesis until I came across this post. You gave me a great idea, I just had to let you know. I’ve been meaning to read this and just never got a chance. Its an issue that Im pretty interested in, I just started reading and I’m glad I did. You’re a excellent blogger, 1 of the very best that Ive seen. This blog absolutely has some details on topic that I just wasn’t aware of. Thanks for bringing this stuff to light. Yeah I completely agree with you in this thought. There is no possibility of unbiased reporting these days. And my heart really hurts when these media companies bring bad repute to you and your country for just monetary concerns. Its really bad..
Hi! Your post is very informative and an eye opener to all of the readers. It’s really true that 80% of media and broadcasting industry right now is more on the money making side because it’s the monetary concerns that keeps them rolling. Most of them are afraid to expose the truth because they might lose the big bucks they are earning from their advertisers and supporters that might get hurt in an expose’. Honestly, there are some blogs out there that are totally motivated by advertising $$ and not unlike tv/radio media. I believe experience and point of view totally colors how we view life, business … everything. That shows through in honest blog writing. Some bloggers blog first and try to monetize later so that they can find a way to blog even more. Others are strictly interested in making money from the start. The difference is VERY obvious even to a casual reader. What puzzles me is how so many are still naive enough to believe that the major media is “unbiased” given the decline in the quality of content on even the nightly news. How often is plastic surgery really “news” and why should anyone care what some celebrity famous for excesses is doing? Is THAT really news? Only those who are aware of their own belief systems realize that what they believe is not the absolute truth for everyone on the planet. Those who see only one way of looking at anything have very limited minds indeed. Blogging and Journalism although as concepts are very similar, in fact they are extremely different. Journalism it’s all about advertising. Nowadays there are many bloggers that are posting content regularly just to express themselves and to be heard by the internet community. Funny you should say that. Journalists usually believe that what they do is pure reporting not affected by advertising. What a particular journalist writes may not be affected, but what gets printed certainly is. you are right. although, I neverthought of it this way: both are Media but very much different from each other. This is one good thing that is in our current world today.. in the past whatever is “fed” to us by a small group of elitist population we had no choice but accept it or listen to it. it seems very hard for us to dispute or verify any information provided to us at that time. However, at present, because of the current technological advancements we have any type of information within our reach.. we now have the opportunity to get any type of information however we like.. When we have the ability to gather a lot of information we become informed citizens.. Because of the surge of social media, we do not anymore act as recipient of information but we have the ability to have our own voices be heard.. Yes, that was very true; however, it may cease to be true if we don’t wake up and take action because we are NOT going to like where the Internet is going. The elite are doing their best to take back control of what we see and share. In this day and age of more open media, bought and paid for journalists are finding it harder to not cover a story for whatever reason. If they don’t cover it, the blogosphere or independent publishers will. So, instead of getting less honest, the openness of media is forcing honesty on cynical and most often politically motivated journalists. I cringed, not because I had thought Roberts was unbiased before her revelation, just that she dared to reveal her bias, even years later. I’m a happy camper now that the ‘revered and respected’ reporters from ages past have become at most nominally effective in attempting to influence our opinions. I was blessed in having parents who, by basing our moral upbringing upon Biblical standards raised us to understand that no one’s unbiased and infallible, no matter their claims. @Iileane: great points re: ‘faith in gravity’. We all have faith, some just couch it in scientific terms. Truth is often confused with faith. When we have faith in an idea or a concept we believe it to be true. Take the Big Bang Theory for example – “scientifically” it’s the best interpretation we have accepted for the creation of the universe as it exists today. However, in order to accept or believe this theory (if you ever get a chance please listen to any lecture from Alan Guth on of the subject of Inflation) we must have “faith” that gravity behaves exactly the opposite of how it behaves today as it keeps Earth spinning on it’s axis. Remember, we only have 5 (or 6) senses to perceive life with and we ALL have faith that those senses are enough to comprehend “truth”. Truth in itself is only a concept that we can train our brains to have “faith” in ~ or not. I’ve seen Alan Guth on a lot of The Universe episodes, and I honestly don’t believe his inflation theory. I have a feeling that most of what we accept now as “fact” will be drastically changed as we learn more. To read journalism is tough job for me.But I always prefer Physics instead of any other subject. Media is indeed a medium that can affect the masses and unlike all people beliefs it’s not always a reliable source of exact information and the publications are usually influenced by their source of income. If they have only a couple of advertisers they will practically be able to decided what articles are published and which are not. Now, about CEO’s that get a lot of money while their employees suffer large salary cut downs, this may be somehow explained, because the CEO takes the decision that makes those money or the decisions that lose those money, but I don’t think they should get such a big share while they employees get nothing, because they will most likely have the highest contribution. Blogging and Journalism; both are Media but very much different from each other. Yes you are right that print media and TV secure the rights of their advertisers but that is not true for blogging. There is one reason for which there is this saying: “Truth will set you free”. So it depends on each journalist if he chooses to be “free” or a slave of the current money driven society. Great perspective. I find it a difficult task to be in the world and not of the world. Faith is the my only solution. I think the journalism business model still does have some merits. I do believe as well one’s ethical beliefs, even if theoretically set in stone, can become very elastic when the time calls for it. In case of journalists, I know exactly what you mean. In an ideal world, journalists are free to write uninfluenced, pure truth, unbent by corporate interests. But let’s be honest, this simply cannot be true in a modern age. One’s personal interests and gains will always interfere. That’s why I believe it’s up to each of us to find a good equilibrium. We have to decide if we want objective truth or the truth we want to hear. As for me, even though I have my set of ethical standards, I am fully aware of the fact they cannot be valid forever, under every circumstance. I think one of the main flaws in the journalism business model is that the people you’re writing for is not the same as the people who are gonna pay you (in the free model that is, not the paid one like WSJ). There’s a misalignment and as a result sometimes you sacrifice one for the other.